Jim Wilson-Storey, President of the Gabriola Arts Council (GAC), announced today that they have received an anonymous donation of $24,644.30, designated specifically for repairs and improvements to the WI Hall building and property. The donation was received via CanadaHelps, a website that enables donors to contribute funds to registered charitable organizations. The donation came via their “securities” program, which allows donors to make a direct donation of a mutual fund or security at full value to the charity while being tax-efficient for the donor. The Gabriola Arts Council took possession of the WI Hall property on September 5, 2014. While the building is in good shape and has been well maintained, it is starting to show its age; a recent and thorough inspection revealed a number of items in need of repair. The priority list includes a new foundation, repairs to the water catchment system, an upgrade to potable water, repairs to the septic system, electrical upgrades, repairs to the front steps and railing, installation of an energy-efficient heat pump, parking lot improvements, new insulation in the attic, and repair and/or replacement of chairs and tables. GAC plans to create an office space within the existing building, and also requires storage space for materials currently scattered at locations across the Island. Performance-quality lighting and a sound system are also on the wish list. Executive Director Michelle Benjamin has been researching and applying for capital funds to help with all of the above. GAC has already received $9,100 from the BC Ministry of Community, Sports and Cultural Development’s Creative Communities program, and $2,248 from the RDN through their Grants-in-Aid program (specifically for septic and water system repairs). Donations can also be dropped in the mail slot at 476 South Road, or mailed to Gabriola Arts Council, PO Box 387, Gabriola Island, BC. V0R 1X0. 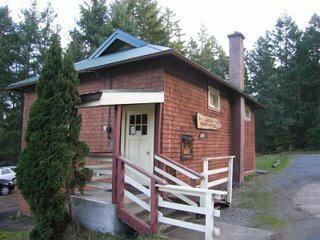 ← The Gabriola Women’s Institute Hall has new owners!